Gay Puglia life is fun, especially during the Summer season! Kendall and myself are so lucky to call home one of the most beautiful places in the world: Puglia, in Southern Italy. We are both avid travellers: as such we have visited many amazing places on the earth, and had so many different experiences. But, trust me, no place is like Puglia: Amazing landascapes, beautiful food, hot men! What is not to like about this area? In our humble (and biased of course) opinion, Puglia is the best that Italy can offer! Have you ever visited this amazing place of the world? If not, we are inviting you all to discover this part of Italy in the next few months with us! 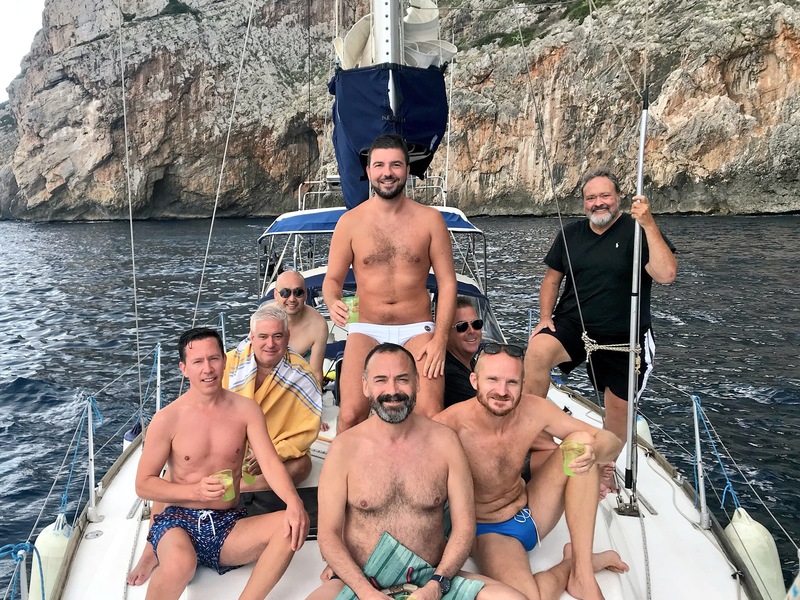 We have organised a few exciting all Gay Puglia Tours this Summer! What are you planning to do these upcoming months of September and October? I have a few suggestions for you. Whatever kind of holidays you are into, you will find the perfect option you are looking for. Are you a foodie, in love with Pizza, Pasta, Burrata and God only knows what else? Then you should know that some of the best (and simplest) Italian recipes come from Puglia. Join a Luxury Food and Wine Tour, 8-14 June: only €1990. We will spend a sensational week in the heel of the boot where we will learn how to cook like the locals, while discovering the best olive oils, wines and cheeses that the region has to offer. This luxury experience will take place in an exclusive farmstead in the surroundings of Ostuni. From there we will explore some of the most beautiful places of the region, such as Martina Franca, Alberobello, Ostuni, Polignano a Mare and Bari. Are you an active traveller, willing to explore the best places in the world while riding a bike? Join Italy Gay Travels Cycling Tour, September 9-15: only €1690 per person. We will explore by bike all the amazing places of Puglia. Among them, Otranto, an enchanted coastal city with East meets West architecture. After reaching Gallipoli by bike, we will spend the last night of the tour in this location. We will have the opportunity to enjoy the fun summer nightlife of the area and to get to meet its juicy local talent. Are you a meditative person, willing to escape the frenetic city life and looking for the mind, body and spirit experience? Look no further! Join Italy Gay Travels on an exclusive Gay Yoga Retreat in the Itrian Valley, 28 September – 5 October: only €990 per person. We will spend a full week in a typical Masseria (farmstead) set within acres of olive groves and nearby to stunning beaches which are within cycling distance. Therefore this setting makes it the perfect spot to relax and tune out from the noise of our constant fast paced lives and really focus on yourself! We will stay near Alberobello, which is a gem within this area, famous for its conic-shaped typical houses, also known as trulli. Our exclusive Gay Yoga Retreat also allows you to experience more than just Yoga. We can hop on a bicycle and visit the amazing beaches, explore the quaint towns and villages, trek through the natural landscapes and dine in beautiful Salento cities. Italy Gay Summer Party is a 3 day Gay Beach Party on the beautiful bay of Gallipoli. Our long weekend is packed with beach, fun and sun! Aperitif by the beach, Boat Party, Club Night, Beach Party, Exquisite Prosecco and Cocktails… what can go wrong? Coming solo? No problem: you can still join in on the fun without spending a fortune! With our Room Matching Program we will match you with another solo traveller, willing to share a double room at our partner hotel, Bellavista Club Gallipoli. So, what are you waiting for? Book your spot in the sun to discover clash royale free gems this beautiful Gay Puglia with us. Do you need more information? As usual, please feel free to contact us anytime with any questions you may have.